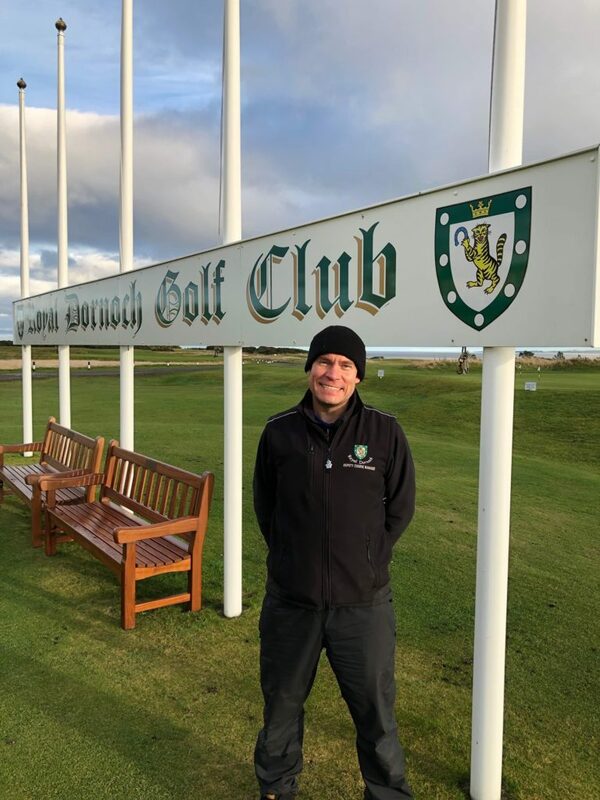 Royal Dornoch Golf Club’s deputy course manager is one of an elite international group chosen to take part in a prestigious industry event in the US next year. Scott Aitchison is among a ten-strong delegation from BIGGA (the British and International Golf Greenkeepers Association) selected to attend the Golf Industry Show in San Diego in February with the help of Bernhard Company. The event, organised by the Golf Course Superintendents Association of America, brings together golf course superintendents, owners/operators, chief operating ofﬁcers, architects, builders and equipment managers, as well as more than 6,000 buyers from over 60 countries. After being selected from a huge number of applicants, Scott underwent a successful interview to secure his place. Applications for the 2020 Bernhard delegation will be launched early in the new year.